Home / Blog / Model Tips / What is a ‘self- test’? What is a ‘self- test’? One of our most frequently asked questions here at WINK is “What is a self test?”. So put simply, a self-test is when a client or casting director needs the talent to film a quick video of themselves and send it in. This usually happens if the client is in another state or country. The filming is similar to what would happen at an actual casting where they would ask you to speak to camera and film you, except you do it yourself. 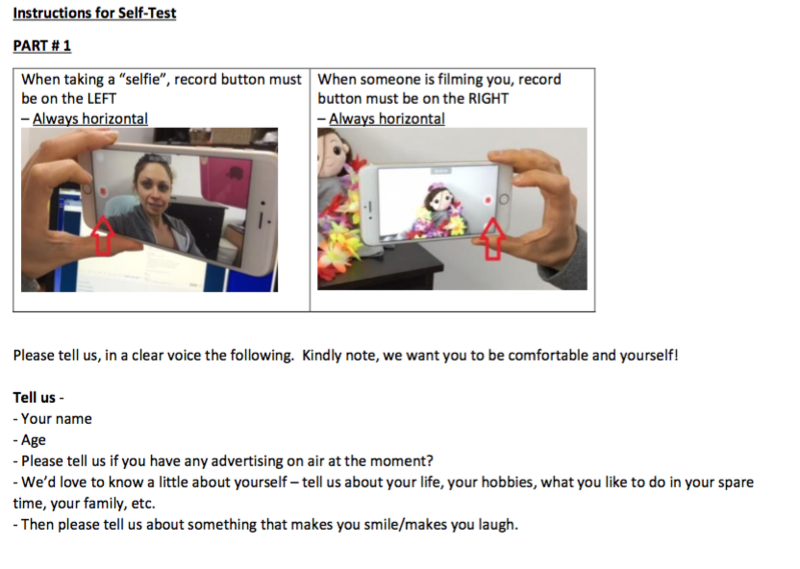 The audition can be filmed on your phone or any other camera you have available to you. It doesn’t need to be a fancy edited production video, just a simple, clear piece of you talking to camera. Shoot against a plain wall with enough light so we can clearly see your face. Avoid shadows (don’t be too close to the wall). Don’t zoom the camera in and out; stationary is best to focus on your face. Ideally, the camera should sit on a tripod to maintain a steady image. If not, try and put the camera on a stable surface (or utilize someone with steady hands!) Make sure your camera is positioned at eye level or slightly above. Natural light is best. Make sure the main light sources come from BEHIND the camera to see your face most clearly. Do not film yourself standing in front of a window as this will make you a silhouette. Record a test clip and see how it looks and sounds before taping the scene. If you are new to this here are some notes. Learning the lines beforehand is key! Pretend the camera isn’t there, it needs to sound like it is coming from you, not a ‘character’, so try not to act it out. We want you to be yourself. Your challenge is to avoid overdoing it– it should be simple and conversational. If you play your audition back and it seems exaggerated and feels unnatural – then it is too big. It should feel effortless, like you’re in a real conversation. Introduce yourself with your name, your age and your agency (WINK). It’s always good to give the client some extra information so you are memorable – whether it’s a fun fact about you or a special skill you have. If the client is in a particular industry (eg. sports) you can share what kind of sports you do to show you are co-ordinated and capable. Last notes: Most importantly – you should have fun! Self tests are an easy way to cast for a particular role. You can do it from the comfort of our own home, so remember you have more than one chance to nail it. If you mess up, delete that take and try again to make it feel more natural. Amy has done it again! After fighting Crohn's disease, she has taken home yet another fitness title. Has winter taken a toll on your fitness routine? Here are some quick and easy tips for getting that summer body back! Find out more on our website. 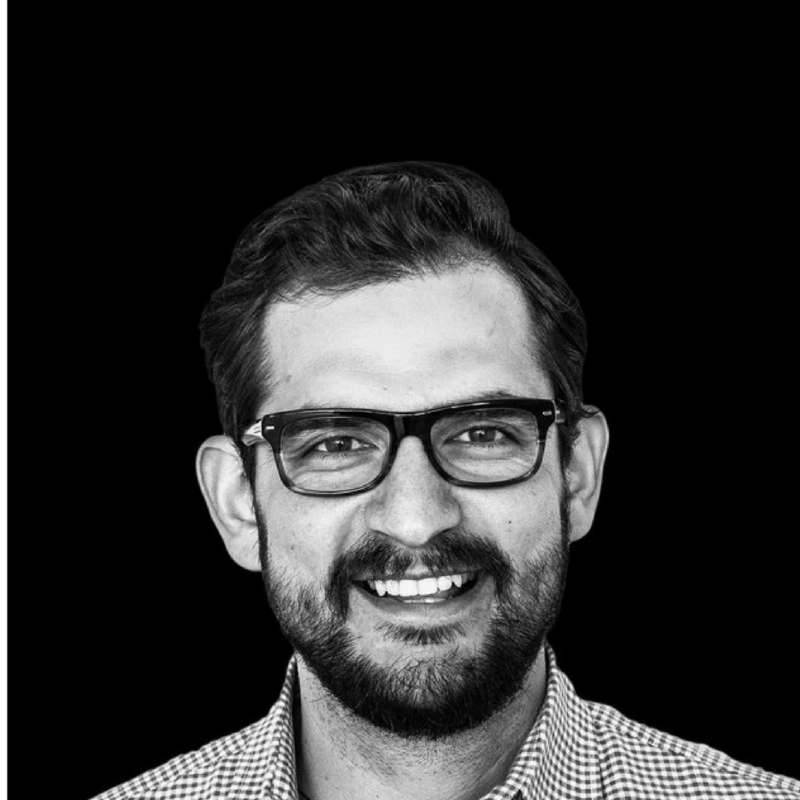 Rafael is one of the most experienced creatives in the global advertising industry and feels strongly towards representing more diversity in our advertising. Take a look at what he has to say! Absolutely adoring these shots that have come from the latest Bras Without Wires campaign.